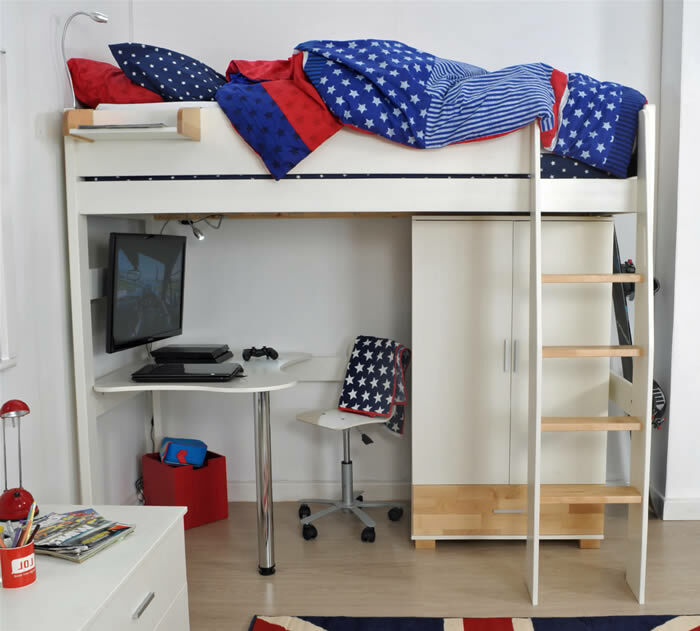 The Urban high sleeper bed set 7 by Kids Avenue in solid pine and natural birch features a 2 door wardrobe, high shelving unit, reversible desk and TV support bar. 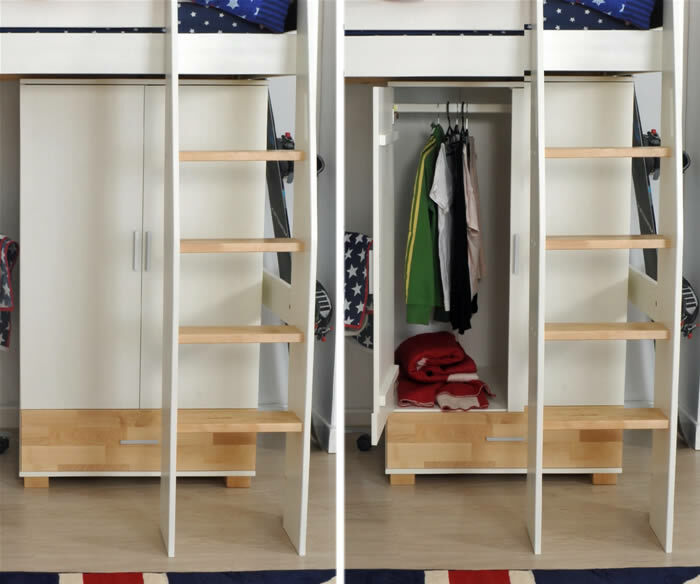 For storage the under bed free standing 2 door wardrobe offers a full width hanging rail and one large drawer finished with a birch drawer front and silver handle. 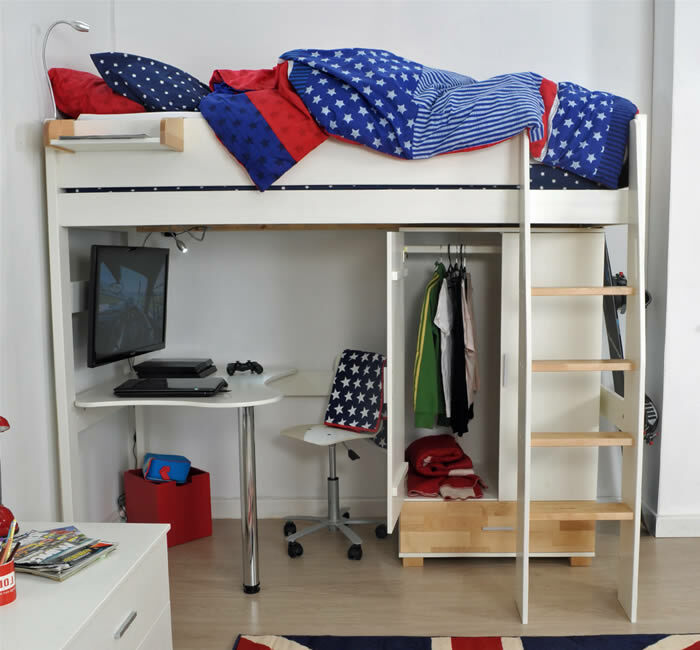 The free standing high shelving unit has 3 shelves in a white finish with birch feet. 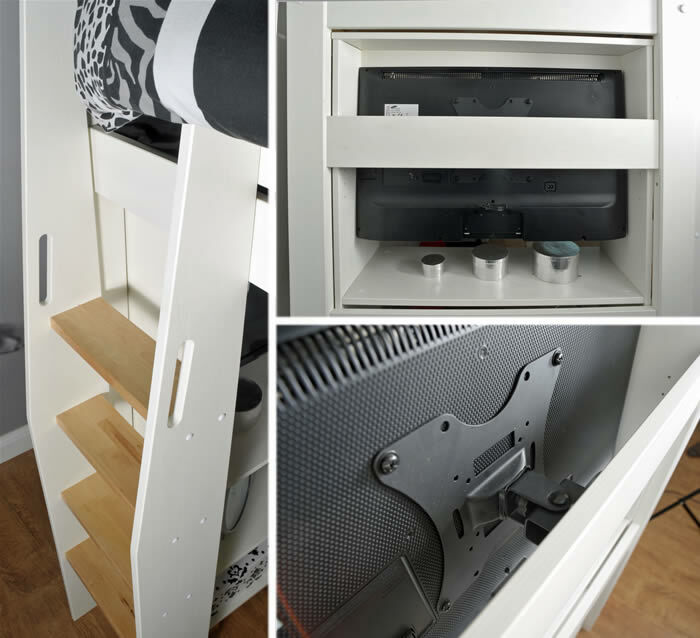 To maximise bedroom layout compatibility the Urban high sleeper bed has a reversible 4 step ladder which can be fixed to the front right or left sides of the bed.